The young gun of India, Cheteshwar Pujara, has amassed runs vs. England and almost filled the gap created by the great No.3 batsman of the country, Rahul Dravid. India lost the four Test home series vs. England by 1-2 since most of their batsmen were unable to resist against the quality bowling of the visitors. Pujara grabbed the highest average of 87.60 in batting from either side whereas the majority of Indian batsmen struggled against the lethal bowling attack of the Englishmen. He was the second highest run getter from two teams and the top scorer for India by plundering 438 runs with the highest of unbeaten 206 comprising two centuries. Alastair Cook (England) was the only other batsman who scored more runs than Pujara by hammering 562 runs averaging 80.28 with three tons. The star opener of the hosts, Virender Sehwag, secured the sixth overall position in batting by scoring 251 runs at an average of 36.14, the best of 117 with one hundred. Gautam Gambhir followed him by getting 251 averaging 41.83, the best of 65 with 2 fifties. The young emerging all-rounder, Ravichandran Ashwin, was next in the line by posting 243 runs averaging 60.75, the best of unbeaten 91 with 2 fifties. 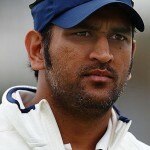 The Indian captain, MS Dhoni managed 191 with a couple of half centuries, Virat Kohli added 188 to his record and smashed one century. The little master and one of the greatest batsmen ever produced in the history of cricket, Sachin Tendulkar, failed to meet the expectations of his fans all around the globe by scoring 112 runs in six innings at a poor average of 18.66 with just one fifty. Considering the performance of the all star batsmen of India, one must acknowledge the sheer dedication of Cheteshwar Pujara who became the lone fighter of the home side during the entire series. He brought to mind the superb batting of Rahul Dravid who was supposed to be the wall of the Indian batting and always rescued the team in times of crisis. Below, we will highlight the overall career and accomplishments of Rahul Dravid and Cheteshwar Pujara in their first 10 innings. 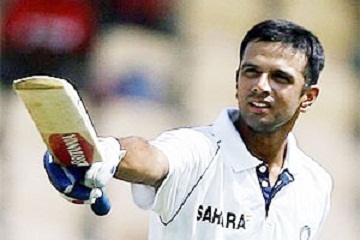 Rahul Sharad Dravid was born on January 11, 1973, in Indore, Madhya Pradesh. He was a right hand top order batsman and an occasional right arm spin bowler with the quality of keeping the wickets as well, if required. Dravid made his Test debut vs. England on June 20, 1996, at Lord’s, London, and scored 95 runs off 267 balls with 6 fours while batting at No.7 in the drawn game. That innings was followed by 84, 8, 40, 24, 34, 31, 23, 7 and 56 runs in the next nine innings. The master blaster played 164 Tests for India and piled up 13288 runs at an excellent average of 52.31, the best of 270 consisting 36 hundreds and 63 half centuries. He appeared in his last Test vs. Australia on January 24, 2012, at Adelaide Oval, scored 1 and 25 runs in the game which India lost by a huge margin of 298 runs. 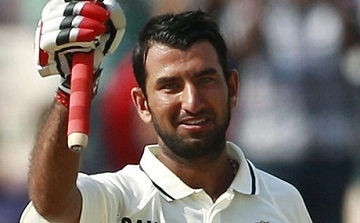 Cheteshwar Arvind Pujara was born on January 25, 1988, in Rajkot, Gujarat, a right hand batsman and a right arm leg break bowler. 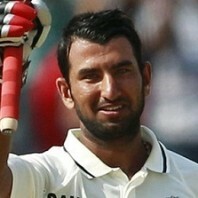 Pujara played his inaugural Test against Australia on October 9, 2010, at M Chinnaswamy Stadium, Bangalore. 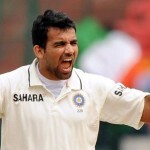 He batted at No.3 and was declared leg before wicket off Mitchell Johnson for four runs in the first innings. The top order batsman played a courageous knock of 72 in the second innings scored from 89 deliveries with 7 fours as India won the match by seven wickets. He scored 19, 10, 2, 159, 9, 48, 206* and 41 runs in his next eight innings. The 24-year-old has played 9 Tests, scored 761 runs at a supreme average of 58.53, the best of unbeaten 206 with 3 centuries and 1 fifty. He is a consistent batsman who has converted most of his half centuries into hundreds. The sparkling start by Cheteshwar Pujara has provided high hopes for the Indian cricket and taken away the headache from the national selectors who found a competent No.3 batsman. Pujara has a bright future ahead of him, he is emerging as one of the best top order batsmen in the world and India will be proud to have another batting wall in their armoury.